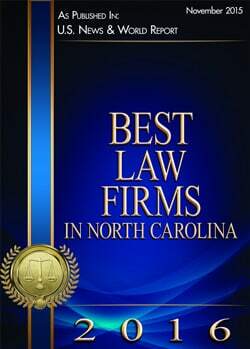 We have handled workers’ compensation cases both large and small in North Carolina. We have obtained multi-million dollar settlements, as well as decisions from the Industrial Commission awarding seven-figure amounts of medical and disability compensation, for some of our most severely injured clients. We have also obtained substantial sanctions awards against insurance companies that deny claims in bad faith, or have delayed and denied medical treatment. We have won exotic workers compensation cases involving conditions like Lyme disease, chemical exposures, and latex allergy. While no two cases are alike, we handle every case zealously with the goal of obtaining the best recovery possible for our clients. Below are a couple of examples. Please keep in mind that case results will vary from one case to another, as each case is handled on an individual basis. A construction worker was rendered a quadriplegic as a result of a high-speed auto-accident that occurred while he was driving to a construction site. The workers’ compensation insurance carrier denied his claim for benefits. Because of the insurance carrier’s denial, we filed a request for hearing before the North Carolina Industrial Commission. After protracted litigation, including multiple medical depositions of the injured workers’ doctors and appeals by the insurance carrier, we successfully obtained a decision by the Full Industrial Commission awarding workers’ compensation benefits to the injured worker. Through our efforts, we proved the insurance carrier had denied our client’s claim without reasonable grounds, and obtained an award of sanctions against the insurance carrier. We also obtained substantial attendant care reimbursements for the family of our client for the care they had provided to our client. Winning the case at trial and through the appeals process was not the end of the road. After protracted post-decision litigation, we managed to obtain a very favorable settlement for our client well into the seven figures. Unlike with jury trials in civil cases, workers compensation cases don’t end once you have won a favorable decision. We kept fighting for our client’s benefits after winning, and in so doing, obtained a settlement sufficient to care for him for the rest of his life. A worker at an auto-parts store fell and fractured his hip. This set off a cascade of medical events that took him from a healthy, vibrant member of the workforce and left him confined to a wheelchair. The insurance carrier, however, did not want to pay for the consequences of the fractured hip. Because of the insurance carrier’s denial, we filed a request for hearing before the North Carolina Industrial Commission. After protracted litigation including multiple medical depositions of the injured workers’ doctors, and appeals by the insurance carrier, we successfully obtained a favorable decision in which the insurance carrier was required to pay for all of the consequences of the hip fracture, including the worsening of his heart condition, and the development of dementia. We also obtained substantial monetary compensation for our client’s family to compensate them for the attendant care they were providing to him. The case did not end with the favorable decision we obtained. Post-decision, we continued to aggressively litigate to obtain further benefits for our client. Eventually, the insurance company agreed to pay a substantial settlement well into the six figures to our client, as well as agreeing to cover all of his future medical care to end the litigation. If you have suffered a work-related injury, you deserve to be compensated. Contact the workers’ compensation experts at Lennon, Camak & Bertics, PLLC for a free consultation on your case today!